Hello. My name is Roman Kucherenko and I have been working as QA Engineer more than 10 years. I have had work experience in manual and automated testing. My Generic Software...Read moreHello. 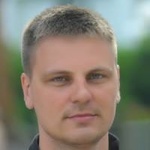 My name is Roman Kucherenko and I have been working as QA Engineer more than 10 years. I have had work experience in manual and automated testing.